1. 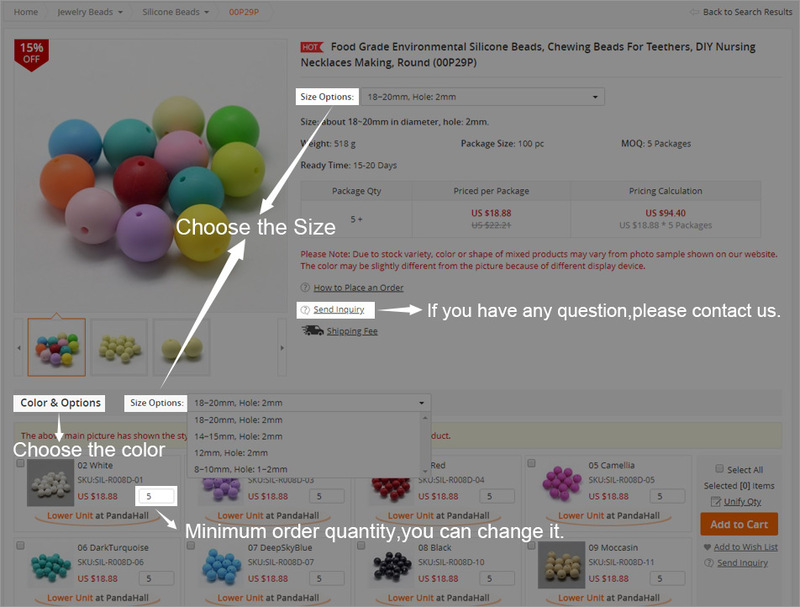 Each Items Code (for example 00P29P) has multiple size options, and each size has multiple color options, color options for each size may be different. 4. The final price of each package is determined by the quantity of packaging you buy. 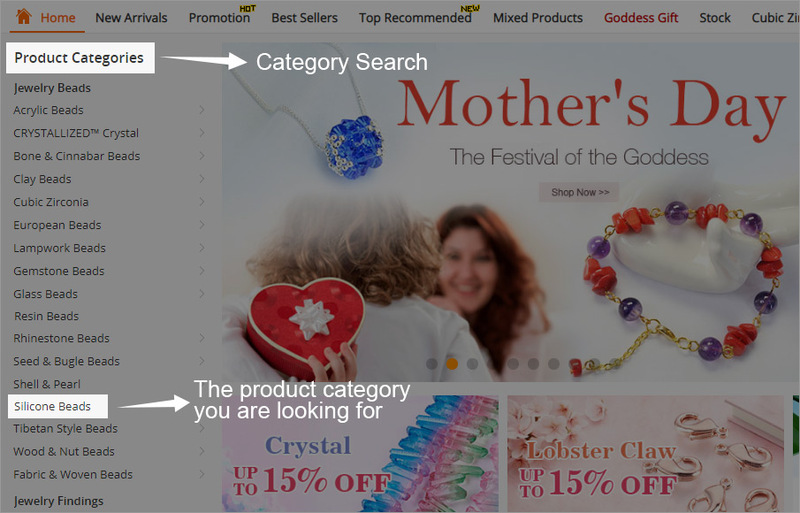 3) After finished adding items to your cart, tap the Shopping Cart icon in the upper right corner of PandaWhole, you can add and delete articles in shopping cart. 4) For processing service, please write your requirement here before submitting the order to avoid any delay. 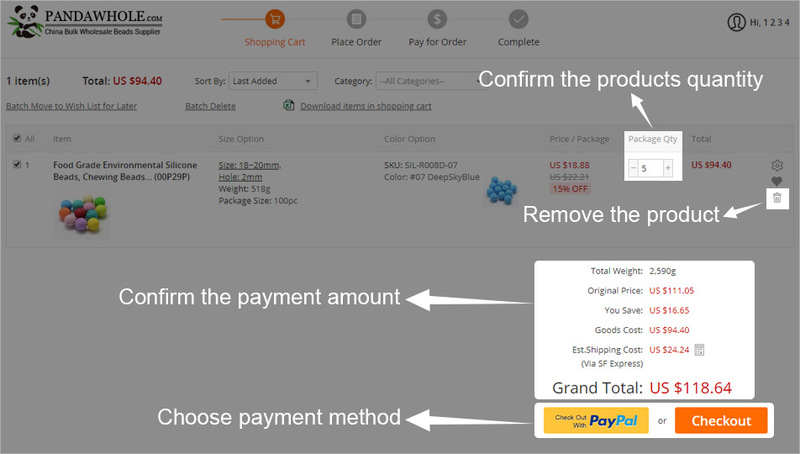 5) Tap check out with Paypal or Checkout and enter your Shipping & Billing Information, Shipping Method, Customs Invoice & Comments, and tap Place Order to make an payments to complete your purchase. 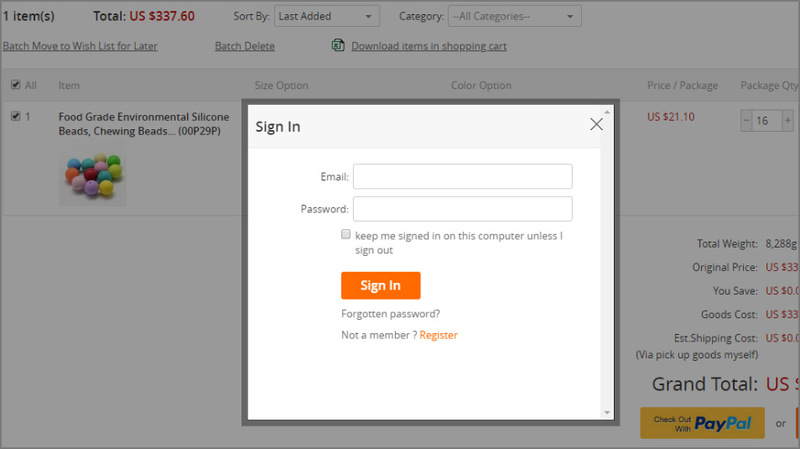 6) You can now check your order details in MyAccount >> MyOrers now!